Published by CNBC on 8:31 AM ET Fri, 18 Aug 2017, this advice from Kelli B. Grant may prove to be very helpful. You can find the original article by clicking the link above. If you’re in the market for a new car, it pays to mind the gap — so-called gap insurance, that is. 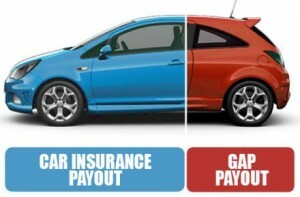 True to its name, gap insurance is meant to bridge the difference between the balance on an auto loan or lease and the market value of the vehicle, which is what your auto insurance will cover if it’s totaled or stolen. Without coverage, that gap could leave you on the hook for thousands of dollars. Gap insurance has become more prevalent as car prices rise and financing terms lengthen, said Matt DeLorenzo, managing editor for Kelley Blue Book. The infrequent nature of car purchases means drivers may not have encountered it the last time they bought or leased a car. “I think it’s under the radar for a lot of folks,” he said. Experts say auto dealers and financing companies may push for consumers to pick up gap coverage, since that liability becomes the lender’s loss if something happens to the car and the borrower can’t pay. With that in mind, it helps to crunch the numbers to see if gap insurance makes sense, and then shop for coverage before you head to the dealership. “It’s worthwhile to consider for anyone with a new car loan or lease who would be in financial trouble if they totaled their car and could not pay off their loan or lease,” said Amy Danise, an insurance expert at NerdWallet. Certain factors — a long loan, a minimal down payment or an expensive vehicle — make it more likely that you owe more than the car is worth, she said. You could also find yourself underwater if you had negative equity on your previous vehicle, and the dealer rolled that balance into your new loan at trade-in, DeLorenzo said. To estimate the gap, compare the loan balance or lease residual against estimates for the used market value of the vehicle on a site like Kelley Blue Book or Edmunds. Then check to see if your emergency savings could handle that amount should something happen to your car. The cost of gap insurance varies by criteria like the value of your car and whether you’re buying or leasing, as well as where you get your coverage, said Loretta Worters, a vice president at the Insurance Information Institute. Through an insurer, she said, the average is about $40 per year. “Not all insurance is the same, and prices can vary dramatically from one insurance provider to the next,” Worters said. An insurance company is often your best bet, she said. Although dealerships and banks offer gap coverage, there, the cost is wrapped into the financing terms, which can make it both more expensive over the long run and tougher to cancel. And you probably will want to cancel at some point. The gap naturally narrows over time as depreciation slows and you pay down the loan balance —rerun the numbers when you’re three years into that loan or lease, said DeLorenzo. Consumers who accelerate repayment of their loan may accumulate equity more quickly. “Gap insurance is designed to cover the period to where your exposure is greater,” he said. “Over time, that gap resolves itself.